We are proud to specialize and install seamless gutters. 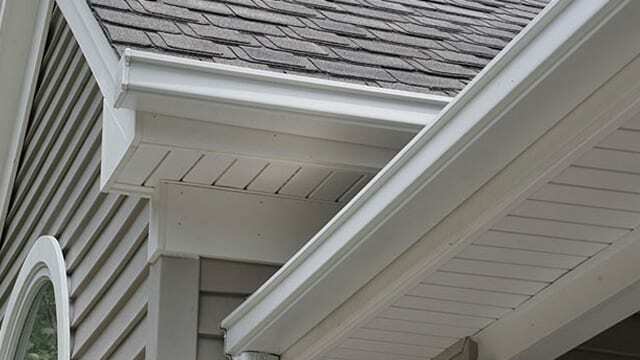 Seamless gutters means there are no joints to leak. 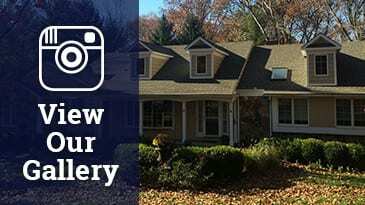 Our gutters are custom-made on the premises to fit your home. We use only the heaviest gauge (.032″) aluminum coil for your gutters. Your seamless gutters are installed with hidden hangers, which are fastened using two (2) screws per hanger. The finish on the materials is guaranteed not to blister, flake, chip, crack or peel for a period of twenty years. As with all our installations, we warrant our workmanship to be free from defect for a period of five years. Both 5″ and 6″ seamless gutters are available. American Home Contractors offers the best choices of leaf removal systems. Our systems are designed and installed specifically for your home. Once American Home Contractors installs your professional gutter protection, you will not have to clean your gutters again. Some products, like gutter grates, only protect your gutters from large objects, such as pine cones or branches. Our dealers’ gutter protection systems will block all debris — no matter how small! Most gutter protection systems can handle twice as much rain as has ever been recorded by the US Weather Bureau — over 20 inches per hour! Having gutters without gutter protection can also be a costly mistake. Rotting leaves and dirt prevent water drainage causing water to settle on your roof and eaves, and overflow onto areas around your house. Dirty, clogged gutters can cause TWICE AS MUCH DAMAGE AS NO GUTTERS AT ALL–that’s why you need a gutter protector system that works! A quality leaf removal system removes leaves and debris while rainwater falls directly into the gutter. Leaves, broken twigs and branches and debris fall over the edge harmlessly to the ground. Stop worrying about your gutters and start enjoying the peace of mind an American Home Contractors gutter protection system offers. The LeafTech system has a unique feature. It consists of a built-in hood and louvers. 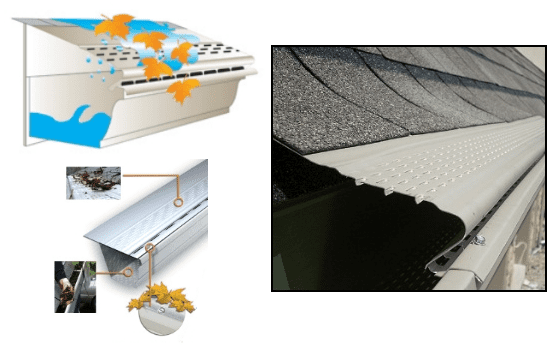 This is the most effective gutter cover system on the market. As water flows off the roof, louvers slow down the flow of water at the first step. At step two, the built-in hood lets the water flow through invisible holes. 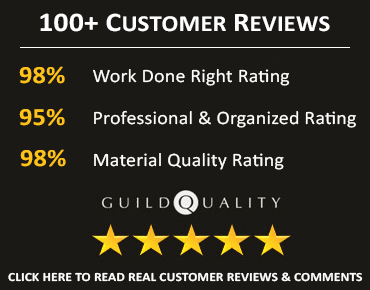 To learn more about our gutter installation services, or to schedule a free, no-obligation consultation and quote, give us a call today or click here for our Quote Request form.